Having the capability to utilize your backyard spaces to their full potential is the foundation of our exterior paver services and one of the more common ways this possibility is being utilized across the Wellington area is that of outdoor kitchens. Much like a patio installation with a higher level of practicality, this particular option brings you the capability to turn your outdoor recreation and hosting time into an experience you can enjoy with a higher level of durability. If you’ve been looking to bring an addition to your property that provides a series of possibilities, then the consideration of an outdoor kitchen can deliver. Not only does this give you an exterior space to enjoy in a recreational setting but also brings you the practicality to open new possibilities. 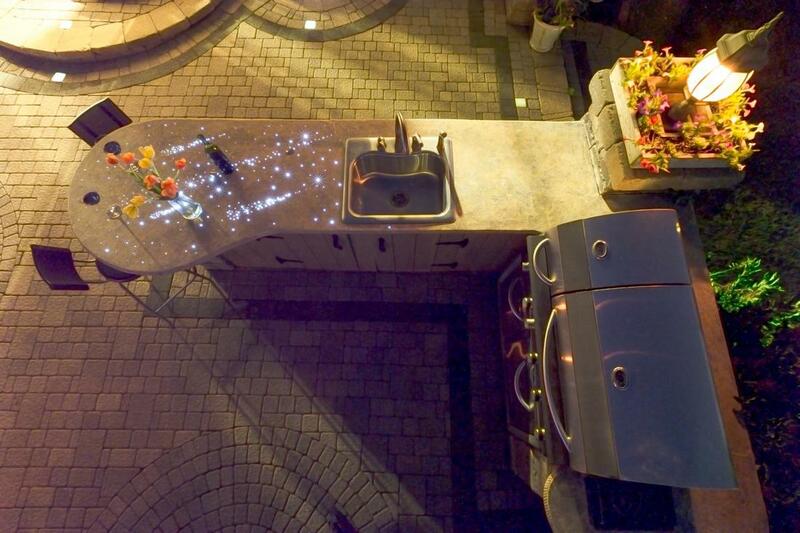 Take your barbequing experience to a whole new level by having a full, usable kitchen you can utilize in the open air. Not only bringing you the capability to turn your backyard dining experience into a more realized platform, but to have the paver surface in place that will bring you a solid and reliable surface to do so upon. Of course, having a full outdoor kitchen requires the necessary appliances to be able to operate fully, which means that your paver installation needs to integrate these items properly. When choosing to have Wellington Pavers bring your surface application, you can depend on our experts to full surround and close off these areas effectively, providing you a space that requires less care and maintenance. We have been delivering these options to the Wellington area for years and know what it takes to provide you with a result that adds beauty and practicality to your design. When bringing anything new to your property, ensuring that it highlights the space its contained within and adds to the overall aesthetic is important. If you currently have hardscaping or landscaping already in place, you can be sure that our design team will bring you the perfect means in which to blend in new installations. When you need the services of kitchen pavers that know how to turn your open spaces into works of art you can use on a daily basis, you can depend on the expertise that the professionals at Wellington Pavers provide to your property. If you’re in the process of having all aspects of your outdoor kitchen done, then knowing that all companies responsible are working together in order to bring you the results you’re looking for is important. Wellington Pavers commonly works with a number of various exterior companies on the projects we deliver and ensure that the results we bring to your property won’t impede with the services of others on site. Our goal is to ensure that the finished result brought to your property exceeds expectation and in order to do so we ensure that you can depend on our experts to bring what you need when you need it.